Online Application Details for Kolkata Port Trust Recruitment of 1 Traffic Manager is given below. Candidate's minimum education qualification for the Vacancies in Kolkata Port Trust should be Degree in any discipline. with 13 years experience in Shipping / Cargo operation/ Railway Transportation in executive cadre in an industrial/ commercial/ Govt. Undertaking. 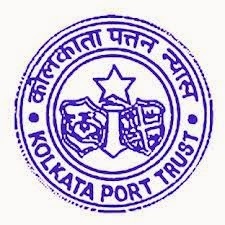 Selection for the post of Traffic Manager for job openings in Kolkata Port Trust is based on Personal Interview. Application form and duly attested documents are to be sent to . In envelope super scribed with 'Application for the Post of Post Name'.